Website hacking is common, yet, a very frustrating experience for the webmasters and website owners. These hacks may be devastating for your business and can cause money, data, and reputation loss. Understanding why these hacks occur and taking few protective measures, such as using scanner tools to frequently scan your website and staying on top of the updates and upgrades. There are many services that offer such tools. You can use our free custom-built wordpress scanner tool here, which can also help you check your WordPress website & identify malicious code. 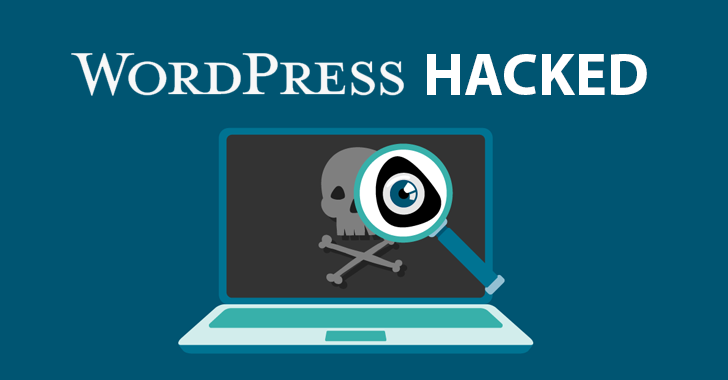 Before delving into the reasons for a hacked WordPress website, we’ll start with the basics of hacking and move onto more advanced topics as we progress through this article. *According to Forbes, approximately 30,000 websites/day are identified, which are distributing the malicious code and WordPress is always in the hit list. 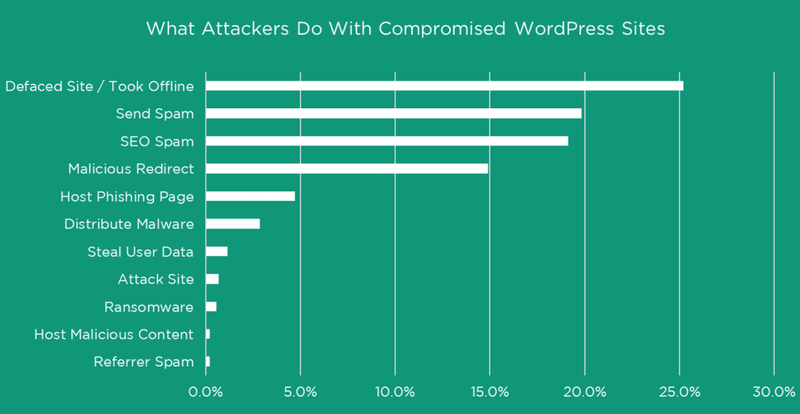 WordPress being the most common web platform is highly vulnerable to hack attacks, it is often the primary target for the hackers. Why do hackers want to hack your websites? Every marketer or a website owner wants to rank high in search engine results. There are many of them who go with a legitimate means to improve their site’s ranking however few of them opt for a Black Hat SEO method. This method generally includes hacking of those websites in which keywords and the links are embedded for the benefit of others. Hackers may target a website to use its bandwidth. Transferring a huge amount of data everyday requires an effective and expensive bandwidth. So, the bandwidth may be used or resold to get profit. This amount of bandwidth may be used for torrents, VoIP and similar traffic. Many hackers would love to hack a website just for fun. They may consider it as a challenge to get a WordPress hacked. There is a lot to learn from hacking and many of them learn it as they are curious about how things work. Any information stolen from any website can be used to attack other websites (stored personal information, data in any eCommerce or business site can directly be hacked by hackers). They want to access websites to intrude into your personal zone, getting access to business information, mailing list etc. 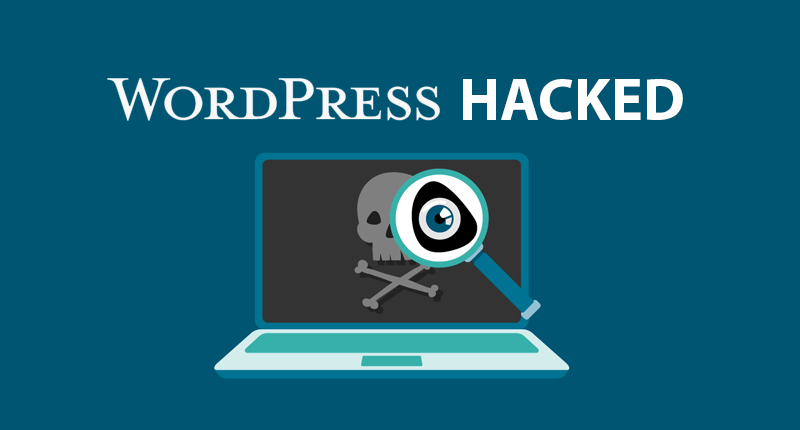 The primary reason for Why Would a Hacker Target Your WordPress? is that it is a simple, and easy to use platform that has expanded at a fast pace over the years. WordPress can be extended in numerous ways with the plugins and themes. Anyone can build tools for WordPress and the possibility could be that not all the extensions markup to the same code review standards as per the WordPress core. Knowing that your website is built on the WordPress also makes it more prone to it being hacked. WordPress powers approximately 75 million active websites that would be around 59% of the entire CMS market share and 27% of all the websites globally. 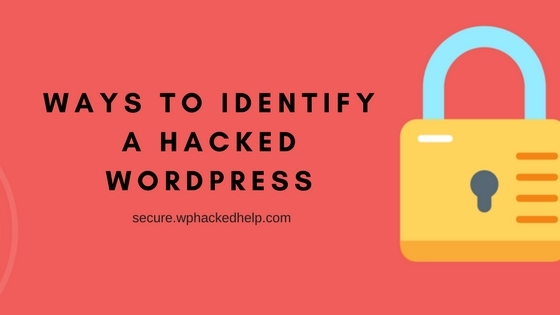 In case you think that your wordpress website might be hacked, we have listed few ways on how to identify if your WordPress is hacked. 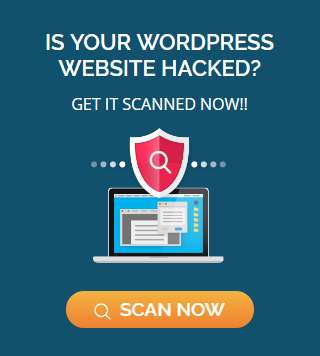 Use WordPress malware scanner to scan your site for an in depth analysis of your website The scanner will also identify if your WordPress Website is hacked. There are exceptions however. If your website has been shut down due to a hack, the scanner will not be able to access your website at all to perform a scan, as an example. However, if your website is shutdown by the hosting provider, it’s most likely an indication of a hack anyway. Scanner tools look for the irregular redirects, spam, malware redirects, malicious code, backdoors, and several other security issues in the number of pages of your websites. It’s almost difficult to track the activity of a user in WordPress. By the means of various plugins such as User Activity Log, you can keep track of various unusual activities like generation of a new unapproved content, creation of new users, changed user roles, changed existing user’s password etc. These changes can also be the indicators of a hacked WordPress Website. Apart from improving the SEO, Google Webmaster Tools will monitor your website for various website infections and provide results based on the information it finds. If your website is being hacked, a notification with the warning sign will show up as the visitors try to visit your WordPress site. Google safe browsing diagnostics can be used to monitor the WordPress websites. You will receive a clear notification if your site is hacked. As a general rule of thumb, a huge increase in the traffic, especially from the foreign countries that your website doesn’t cater, is one of the best indicator of a hacked wordpress website. The traffic shifts and fluctuations on your website can provide clues that are worth exploring to determine if your website is indeed hacked. Google Analytics and Google Webmaster tools can help your keep track of the activities and traffic on your website. One of the best way to monitor the WordPress files is by checking if any malicious code is being inserted by the hacker. Search for the entire file structure, new files in the web-root and upload directory, functions.php files, modified index.php files and more. When hackers place some malicious code in the files changing the source code may result in WordPress getting hacked . Free plugins such as file changes monitor, can be used to monitor file changes across your WP installation. If you find your website is slow or crashes down, that may be a clear indication that your website has been hacked. The case may be a hacker may have added your WordPress website to a network of spam emails or the network of websites which is not acceptable again. You may find this image. If your website is slow, crashes infrequently or frequently, or has inappropriate content, you may see the bounce rate increase. This increase will be higher if Google has blacklisted your website, as an example In these scenarios, most likely your website is hacked and will require a professional wordpress cleanup. One of the clear indicator of a WordPress site is being hacked is by a display of unintended pop up windows on your site. Some popup windows loading in the background but may not be visible when you open the site. You may see those pop-ups if you minimize your browser as they take up a large portion of your screen. If you find any strange looking incomprehensible files in your WordPress site install folders, then that is a clear warning that a hacker has gained access to your website. The example provided below is a ‘obfuscated’ type of file that is usually introduced by hackers to hide the original code. echo "< if rame frameborder="0" height="1" scrolling="no" src="hxxp:// rtjhteyjtyjtyj . orge . pl/mdm/" width="1"></if rame>"; -> writes the malicious iframe. Visible iframes can be easily spotted however some of the iframes are too small that you can easily miss them. Open up your HTML file and look for <iframe> tags that may try to connect to a suspicious looking URLs. An iframe is basically an embedded HTML document within another HTML, that displays content from the original source. These suspicious iframes in the website may also indicate that your WordPress website is hacked. The reality of WordPress website, like any other website, is that it has the potential to be hacked. The only way to prevent a hack is by having a maintenance plan for your website in place, which proactively checks for potential issues, as well as protects your website from getting hacked in first place. 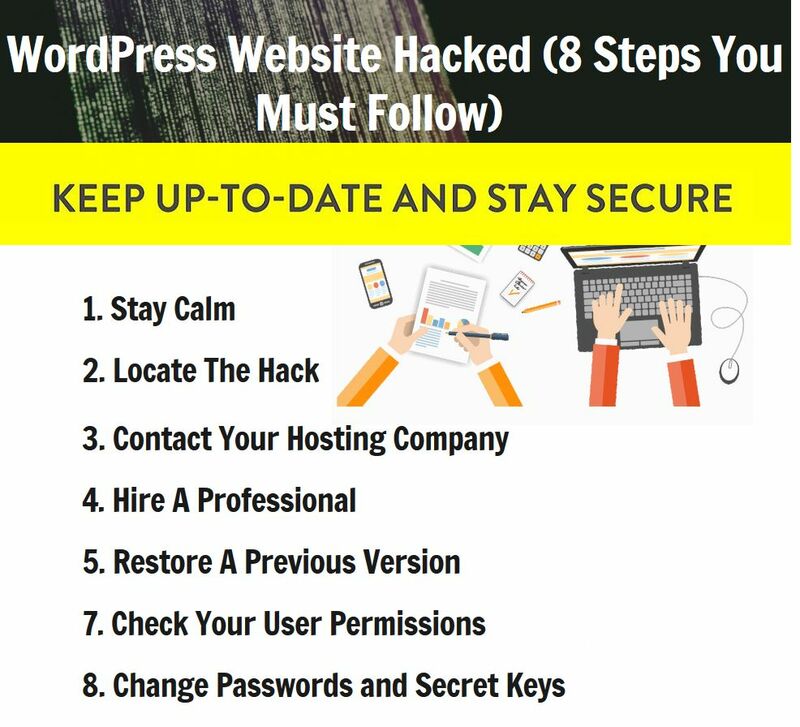 The earlier you identify a WordPress hack, the easier and cheaper it is to fix hacked wordpress site and safeguard it against any future security threats. It is always recommended to keep yourself informed of various WordPress security updates. It is obvious that the best approach is, ‘to avoid being hacked’, however it is not always possible to avoid the hack. 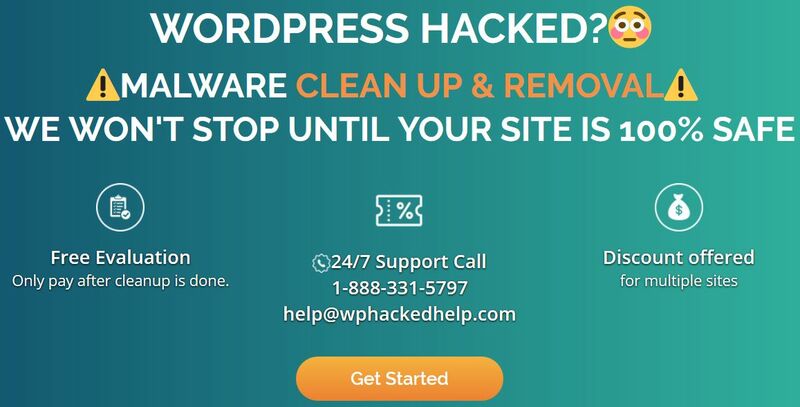 If your WordPress website is hacked, it’s best to get help immediately. What To Do If Your WordPress Website Is Hacked? Even if you have basic security implemented on your website, people with malicious intent can still find access points through numerous tricks and loopholes in your website’s code. Next PostHow To Identify & Fix Gibberish Keywords Hack?